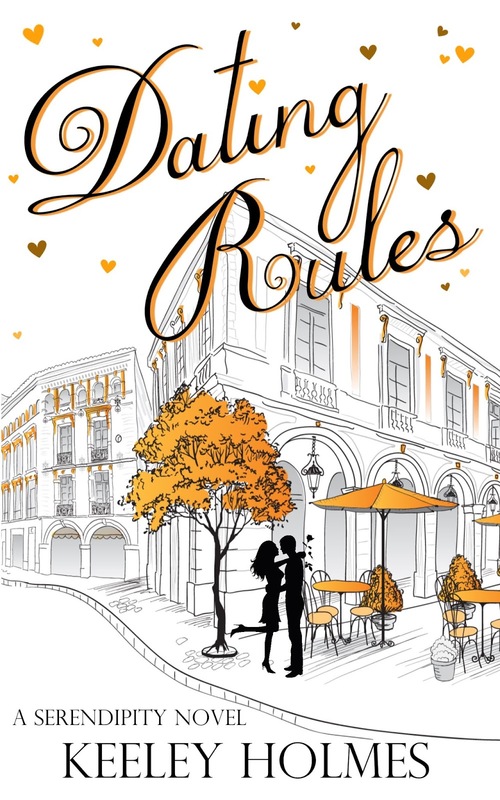 Today, I am pleased to bring you a virtual book tour and release day blitz of Dating Rules by Keeley Holmes, the second book in her Serendipity series. 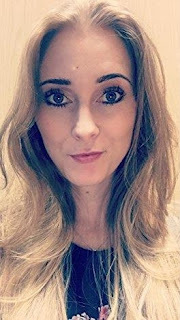 After working full time and gaining her English Literature and Language degree, she changed her mind about becoming a teacher, when would she write books if she had to mark them? Instead she wrote her second book in 2007. From that moment, she's written books as a side hobby and now she wants the world to read and love them! She's a sucker for romance books, with a little bit (a lot!) of kink in them! She lives in beautiful Yorkshire, when sometimes she leaves the house and appreciates that beauty, before crawling back into her cave to write. Sardelle Terushan wakes from three hundred years in a mage stasis shelter, only to realize that she is the last of the Referatu, the sorcerers who once helped protect Iskandia from conquerors. Their subterranean mountain community was blown up in a treacherous sneak attack by soldiers who feared their power. Everyone Sardelle ever knew is dead, and the sentient soulblade she has been bonded to since her youth is buried in the core of the mountain. Further, what remains of her home has been infested by bloodthirsty miners commanded by the descendants of the very soldiers who destroyed her people. Sardelle needs help to reach her soulblade—her only link to her past and her last friend in the world. Her only hope is to pretend she’s one of the prisoners while trying to gain the commander’s trust. But lying isn’t her specialty, especially when the world has changed so much in the intervening centuries, and if Colonel Zirkander figures out who she truly is, he’ll be duty-bound to sentence her to the only acceptable punishment for sorcerers: death. This is the first book in the Dragon Blood series. I loved it! Colonel Ridge Zirkander is a wonderful character. I really liked him. In fact, I have a bit of a book boyfriend crush on him. I love his irreverence and dry wit. It reminds me of the way Richard Dean Anderson portrays Jack O'Neill in Stargate SG1. He is one of the best pilots in the Iskandian army. He is charming, though irreverent, and his flying skills are in great demand, but due to an event that sees him punching a diplomat he has been given new orders and sent to prison mine in the Ice Blade mountains as the new commander. The mine contains crystals that power their dragon fliers - planes that are designed to look like the dragons that once lived millennia ago. When he arrives at the mine, he is confronted by an unusual sight - a woman wearing a summer dress in the middle of winter. Sardelle Terushan is also a wonderful character. I liked her a lot. She is a sorceress and a healer. When her home, where the Referatu lived came under attack, she found refuge in a mage stasis chamber. There she stayed until she woke three hundred years later, when she was found by a couple of miners. 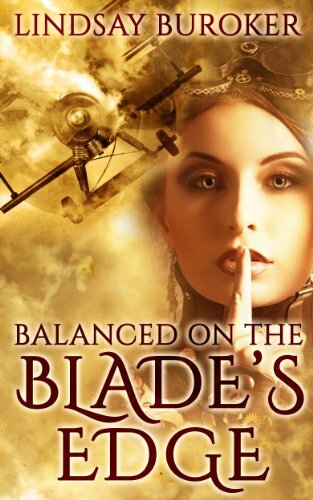 Determined to locate her soulblade, Jaxi, but struggling to come to terms with the amount of time that's passed, she finds herself confronted by the challenge of hiding her powers in a world that detests magic users, and her attraction to the new mine commander. This story is a mix of steampunk and fantasy. I started to read and didn't put it down until I finished it. I found myself completely hooked from the first page. I love the world-building the author has done to bring this book to life. I also love Jaxi, Sardelle's soulblade. She is a young sorceress who died due to illness, but before dying, her soul was magically placed within a sword. Soulblades bond with their handlers until their handlers die; guide or assist them when needed, then either bond to a new handler or allow themselves to die when they no longer wish to serve. Jaxi is six hundred years old, but because she died young she has a decidedly teen outlook at times, with sarcasm being one of her tools, as well as an irreverence for a person's privacy. I love her witty banter, some of it had me giggling. Iskandia is at war with Cofahre, a rival nation that is determined to take over Iskandia. The Cofah use dirigible type balloons to fly over the ocean, thus the steampunk feel to the story. The Iskandian pilots fly planes that are shaped like dragons but remind me of the old-fashioned planes from the early 1900s - lightweight - though with a mix of propeller and thrusters which reminds me of the Harrier jets that use something similar sans the propeller. The author has mixed these two to create something unique. As the story progressed, I found myself looking forward to seeing how it all played out. Ridge and Sardelle make a wonderful couple and their chemistry is instantaneous. I love how the author wove their love story together with action filled sections that kept me on the edge of my seat. The magical owl is uber scary! There are a couple of scenes between these two that are a little steamy but not explicit. I must admit that I felt a little sorry for Ridge at times, as he gets two for the price of one in this relationship, but he seems to take things in his stride. I reached the end of the book and immediately went and purchased as many books in the series I could, as well as pre-ordered the next book in the series which was due to be released. I can't wait to read the next book in the series, Deathmaker, as soon as I can. Lindsay Buroker is a new author to me. I love her fast paced writing style, and the flow is wonderful too. I haven't read any of her other books before, however, she has found a fan in me. I am looking forward to reading her other book series as soon as I can. 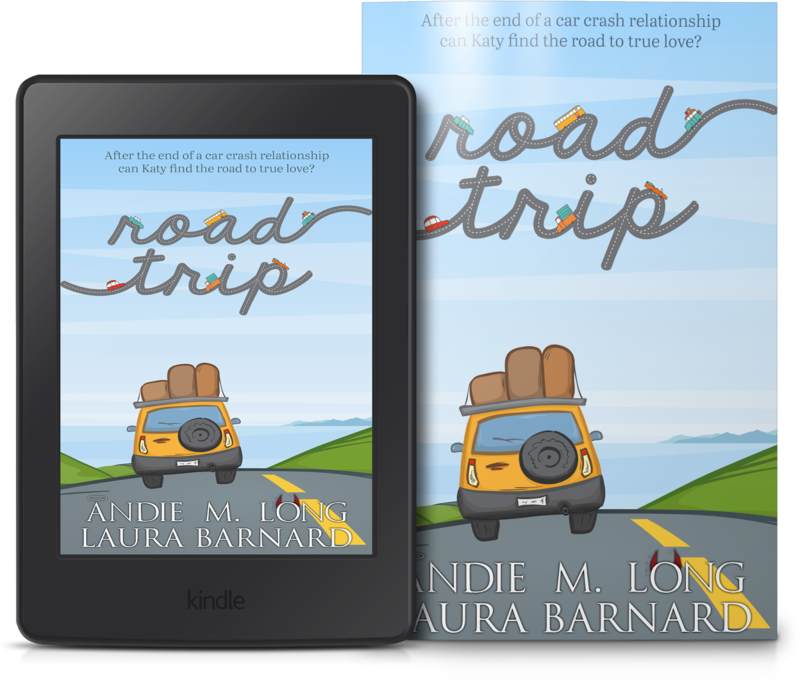 With finances running out, Katy must endure the rude and arrogant Felix while they embark on a road trip around the country in hopes of securing a new job. But there’s just one problem... they’re up for the same posts. 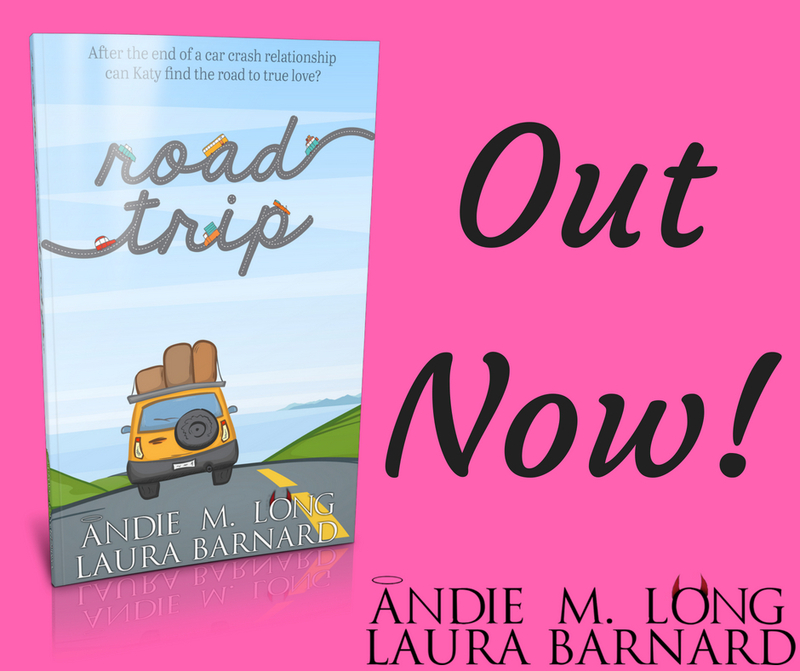 This road trip is going to be unlike any other, with them doing whatever they can to sabotage the other. Head on over to Laura's Facebook page to enter their giveaway for a chance to win $10/£10 Amazon Gift Card. You'll never guess what happens when a mother's love reaches its limit and simply can't be contained. Follow an unsuspecting family as they take on an uncommon challenge. A brother and sister duo must use their wits and creativity to save their parents from a rare and mysterious illness. This is a fantastic children's book! I loved it! The story is a mix of fun rhyme and beautifully drawn illustrations. The illustrations follow the story perfectly, so a child who cannot read properly yet can understand what is going on. I love the way the artist has drawn this fictitious family, and their facial expressions and antics made me smile. Micah Lorenc has written a lovely children's book that made me smile. He uses simple language for the most part, so children should be able to read this on their own (depending on reading ability, of course). However, there was a sentence that I read that I found a little jarring even though it rhymed with the previous one. It's where the mother first becomes infected and she is rather apologetic about her outburst. My editing hat reared it's head and made me think that the sentence could have been written differently and still rhyme somehow. However, that is my only grammar niggle and other readers may not have the same reaction. The children may not even notice, to be honest. As I said, it could just be me being pedantic, so I'll leave it to the readers to decide for themselves. 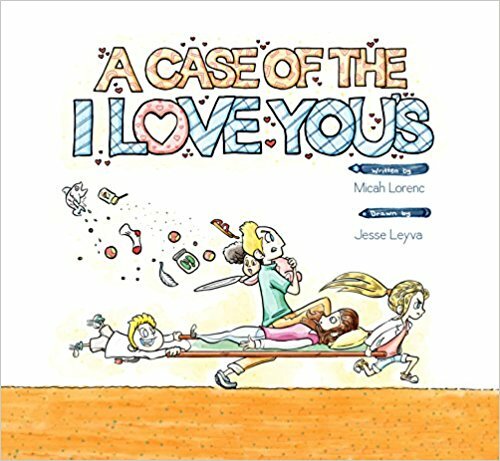 This is the author's debut children's book and I am looking forward to seeing what else he comes up with in the future. Unfortunately, I am unable to locate any information about this author as this is his debut book. When Master Mechanic Mari and Mage Alain took down the Dark Mechanics and Dark Mages at Dorcastle, they thought they’d covered their involvement well enough to divert their Guilds’ suspicions. The assassins sent after them by their Guilds, which had trained them from childhood, indicate otherwise. Armed with the knowledge that their respective Guilds are now trying to kill them, and knowing their strengths are greater together, they reunite. Rumor has it the key to saving their world from the Guilds’ iron-fisted rule is in the dead city of Marandur. But before they can even attempt to traverse the empty wastelands and avoid the imperial guards surrounding Marandur, they’ll have to survive the Guilds’ agents, who are determined to capture them at any cost, and by any means necessary. This is the second book in a fantastic epic fantasy series called The Pillars of Reality. I absolutely loved it! Mari is a fantastic character and I liked her from the moment she was introduced. I love her determination to do the right thing, even at the cost of her own life. 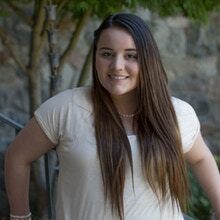 She is an eighteen year-old Master Mechanic. She has attained it by qualifying as the youngest Lady Master Mechanic since the Guild was first formed several centuries earlier. Mage Alain is also a fantastic character. I liked him a lot. He is seventeen years-old and one of the youngest Acolytes to achieve Mage status. He has been taught from a young age not to show or feel any emotions and that the world he lives in is an illusion, where nothing is real. I listened to this story in audio format, rather than read it. The story is once again narrated by MacLeod Andrews. He does a fantastic job in bringing the story to life. Even Alain, who's voice is meant to be flat and emotionless comes across with subtle hints. You would think that Alain's voice would be monotonous, but it's not so. I love the way he brings all the characters to life with different accents, inflections and tones. He even makes the women's voices sound perfect for each character. 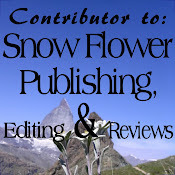 As for his narration, he read the story clearly and concisely, and his pacing was perfect. I would definitely listen to more books read by this narrator. This story picks up a few months after the events in Dorcastle (see Book One: The Dragons of Dorcastle). Alain has been sent by his guild on a contract to protect some common soldiers who are travelling to war. Along the way, they are attacked.The foresight Alain has developed has shown him that a storm is coming, though he has no idea what his vision means, so wishes to seek answers. Meanwhile, Mari has been sent to Tay (sorry, unsure of spelling due to only hearing it spoken and not reading the book), a region that has fallen into anarchy, by her guild. Unwilling to be a sacrificial lamb, Mari goes in search of Mage Alain. Together once more, they face several challenges and dangers. However, one of their leads takes them to Marandur, a city declared dead by the emperor one hundred and fifty years previously, where they make a startling discovery. Will they survive only to stumble at the final hurdle? This story introduces us to the world of Dematr. It is a mass of contradictions. 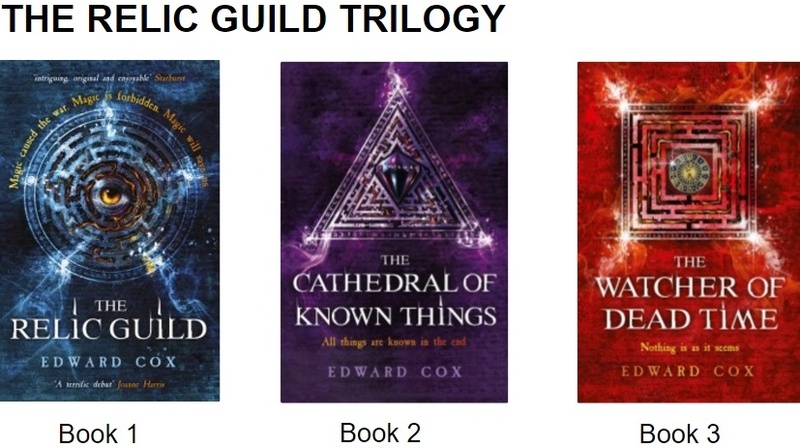 There are two great Guilds who hold all the power over the common folk - The Mechanics and The Mages. These Guilds have held power for centuries and refuse to relinquish their hold and reject change of any kind. However, this is slowly strangling the world, making it harder and harder for the Mechanics, especially as their technology is regressing. This story has a steampunk feel to it, with machinery being steam driven at times - trains for instance. Though there are some more modern items such as far-talkers (walkie-talkies to you and me), torches using batteries, and rifles and pistols that are decidedly more modern-day. Mages use energy from the land around them and some of their own energy to make spells. These spells can be used in various ways - from hiding oneself to creating a dragon. 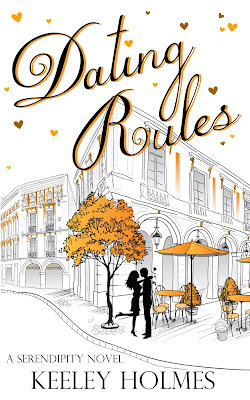 This book is told through the eyes of both Mari and Alain and I found myself completely hooked from beginning to end. I loved meeting the two main protagonists once more, and watching (in my minds eye) the story unfold as I listened. 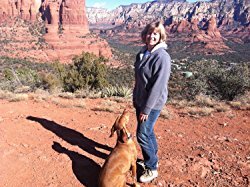 The story is full of action, adventure, and danger and I found myself an emotional wreck at times. Have you ever read or listened to a story and felt completely emersed in it? This happened to me whilst listening to this book. These characters have come to life for me and have become my friends. I found myself missing them when the story finished, so I began listening to it again. I've listened to this book now at least four times. Each time I listen to it, the story and characters sweep me up and carry me away to a world that is alien and yet familiar at the same time, and makes me want to go and visit it. This book ends with a slight cliffhanger and the audio version has a preview of the next book in the series, which I am now looking forward to reading/listening to. I will be listening to The Assassins of Altis as soon as I can. 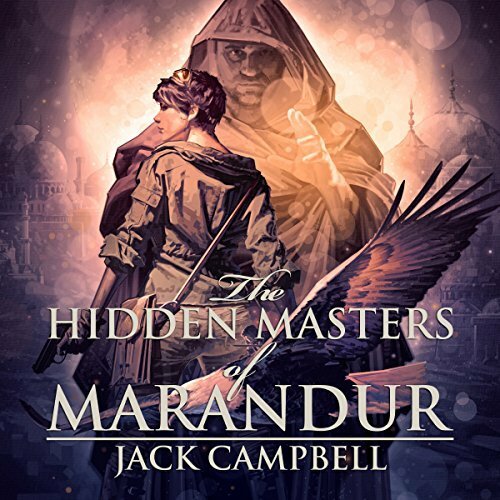 Jack Campbell is a new author to me. I've never read or listened to any of his other books. However, I may have to add him to my favourite authors list, as he's found a fan in me. I love his writing style, which is fast paced and descriptive, and the flow of the story is good too. "Jack Campbell" is the pseudonym for John G. Hemry, a retired Naval officer (and graduate of the U.S. Naval Academy in Annapolis). 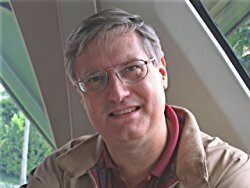 As Jack Campbell, he writes The Lost Fleet series of military science fiction novels, as well as the Beyond the Frontier continuation of The Lost Fleet, and The Lost Stars series (a spin-off of The Lost Fleet). He has also written the Stark's War series and the Sinclair/"JAG in space" series, and has written many shorter stories featuring space opera, fantasy, time travel, and alternate history. Many of these stories can be found in the three Jack Campbell ebook anthologies. He lives with his wife (the Indomitable S) and three children (two of whom are autistic) in Maryland. Hi there! I'm Claressa Swensen, the author of Little Bear and His Chair. Little Bear and His Chair is a full color picture book, complete with whimsical illustrations that can be enjoyed by children of all ages. I wrote this story to teach the value of friendship as well as the importance of sharing, and by pledging just a few dollars or more, you can help make this book a success! Please take a look at some of our incredible rewards, and as always, thank you for your support! This children's story is about a little bear who has a favorite chair, and he doesn't want anyone else to sit on it. When his stubbornness gets in the way of his friendships, Little Bear has to decide what is more important to him. Little Bear is a spunky energetic brown bear, who, despite his small size, can sometimes be very feisty and stubborn. When he lets his negative traits take over, he risks gaining a bad reputation in the forest, and more importantly, losing his best friend, Ryan the Lion. Aside from being a great story with fun relatable characters, and amazingly detailed artwork, this book has a short animation that actually brings the book to life! From beginning to end, each page displays the true personalities of the characters through animated footage, making this story tons more fun to read! If you choose a reward that comes with the movie, you will receive a dvd with your book that animates every page, so you or your little ones can enjoy turning each page in your physical book, as you watch the movie bring it to life. Where will your contributions go? Hi! 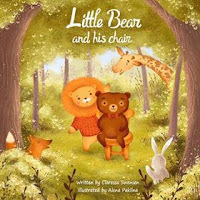 My name is Claressa Swensen (but my friends call me Clare), and I am the author of multiple children’s picture books including Little Bear and His Chair. I’m 22 years old and a mother to a beautiful 4 month old baby girl. When I’m not writing; I like shopping, reading other picture books, and eating pizza. My favorite drink is chocolate milk and I have two small dogs that I adore. 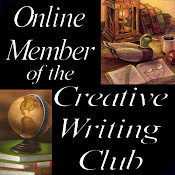 My goal is to write stories that teach important lessons in a fun and creative way. I hope my stories touch your heart the way they’ve touched mine! Click here to add it to your Goodreads shelf. The book will be available to read for FREE via Kindle Unlimited from 23rd May. 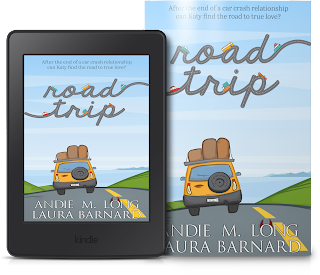 Head on over to Laura's Facebook page to enter their giveaway for a chance to win $10/£10 Amazon Gift Card & Advanced Reader Copy.